There are different situations in our life, which may cause the borrowers’ wish to refinance their mortgage sooner or later. Though everybody is unique in his reasoning, there are often common situations, which may influence the decision. Refinancing a mortgage is to pay the loan, which you’ve got when buying a home for the first time and to borrow another one. 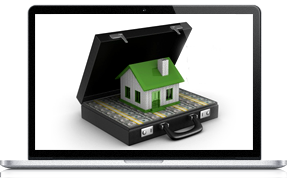 There are several main options for mortgage loans. The most common is rate-and-term refinancing, the borrower refinances the remaining balance for a lower rate and shorter repayment period. The second most popular type is cash-out refinancing – a new, the so called, second mortgage is obtained. It is always greater in amount than the existing one and the borrower’s aim is to get cash for paying the existing debt or covering some other needs. How much will I save in the process? Refinancing a home works best, when you plan to stay in it long and when you realize all the costs involved. You should keep in mind the break-even point -- the time needed for the loan refinancing to pay for itself. Selling a home soon after it has been refinanced may prevent the borrower from seeing the positive result of the process. Don't waste your time. 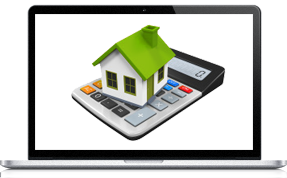 Refinance online. Personal Money Service’s mission is to connect the potential clients, seeking for the refinancing options with the right lenders. We work completely for free for our consumers. The borrower should only fill out and submit the application form online and be a bit patient. Your request should contain certain personal and financial information about you: name, DOB, contact details, credit score, and homeownership status. The wide network of our cooperating partners offers various terms and conditions, fees and interest rates, so the loan provider, which is ready to meet your requirements, will contact you soon. Some of our partners even review the applications of the consumers with less than perfect credit, however, the loan proposal cannot be guaranteed to such potential borrowers. You should find out all the details and discuss all the conditions directly with the lender you are going to choose. NO matter what your motivation is, our company helps the clients to stay well informed and tries to connect the potential borrowers with the reliable lenders in the market. So make the careful consideration of the main factors and proceed with the process!